The strawberry finch is an attractive sparrow-sized bird, originating from Asia. 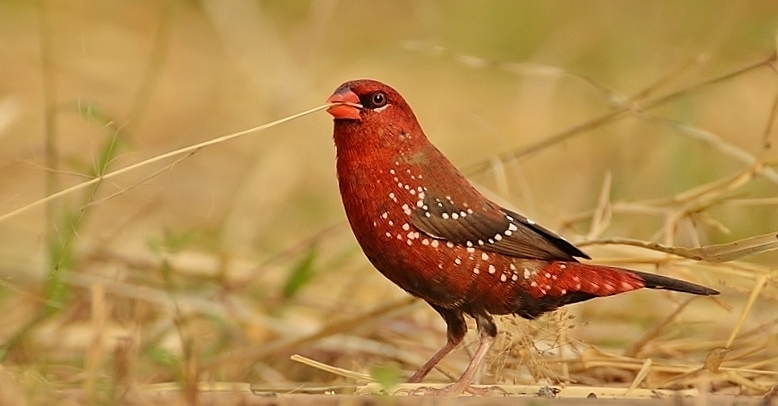 Characterized with colorful plumage, a vivid red bill, and a rounded black tail, it is a popular choice in aviculture. 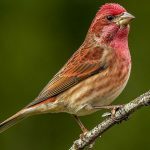 With rapid wing beats, they prefer to fly in small flocks, descending into clumping grasses, where they are not spotted easily. 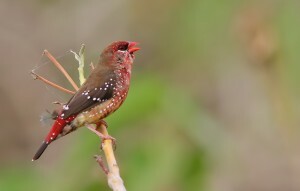 Unlike the females, the males sport a scarlet breeding plumage (during April-November). Although it is reasonably hardy when acclimatized, proper care is necessary for keeping them healthy. 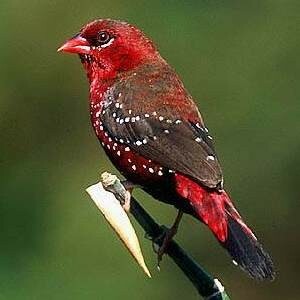 They do best if kept in large planted aviaries (3 meters long) containing mixed species of birds. 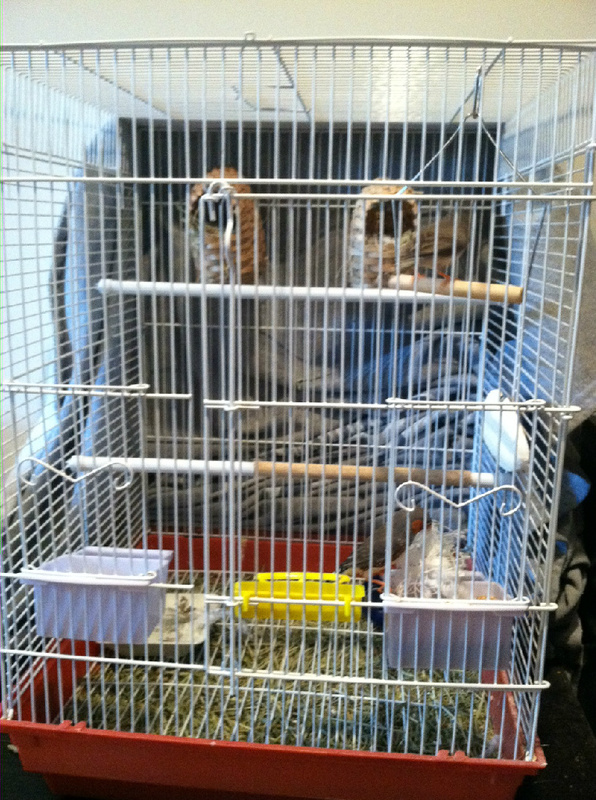 Large, well-ventilated flight cages with adequate room containing a breeding pair can be used if the owner wants them to rear their young. Place a piece of paper on the bottom and use it as a substrate. 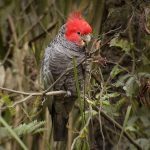 Good softwood perches measuring 0.3-0.75 inches in diameter should be placed horizontally in the enclosure, helping them to wear their claws down naturally. 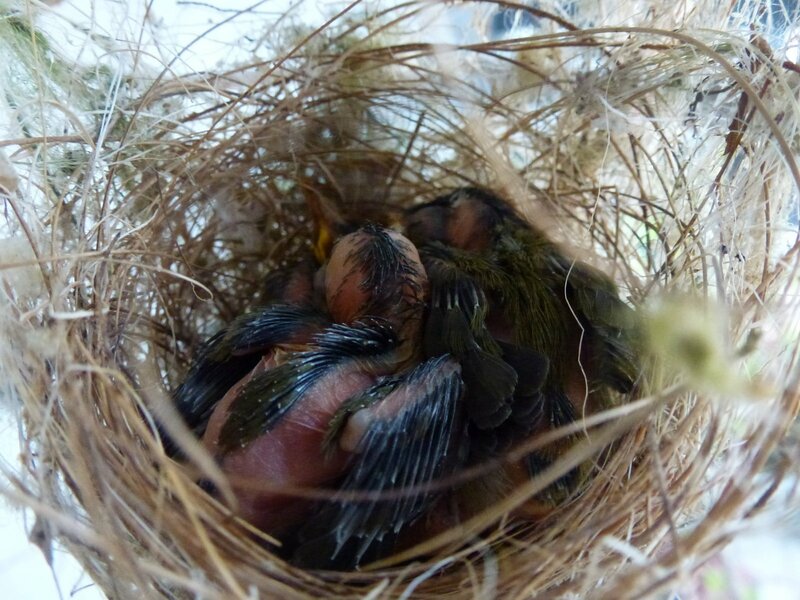 Finch nest boxes can be placed inside the aviaries to provide the bird with a hiding place. Red avadavats also accept materials like coconut fiber, long grasses, light colored feathers, and charred wood for building their nests, which give them the place to incubate. 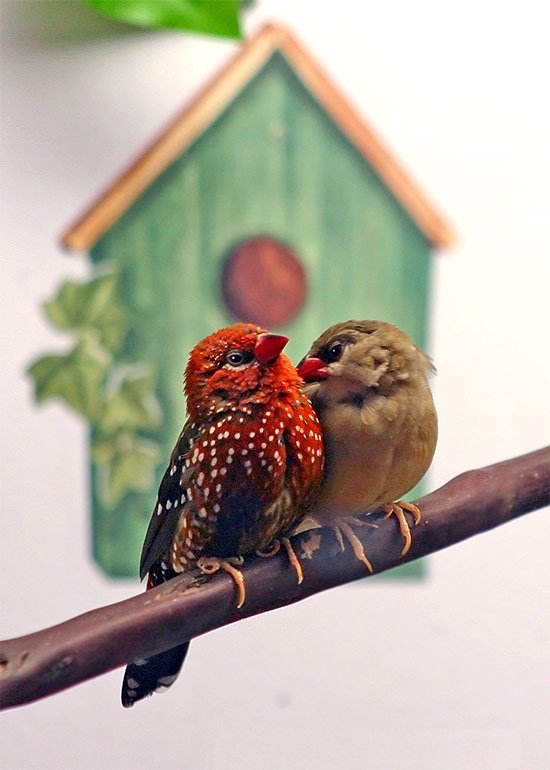 During winter, strawberry finches should be provided with supplemented heat, as they are at risk of induced melanism. To maintain their vivid plumage in molts, they need adequate moisture and exposure to sunshine. 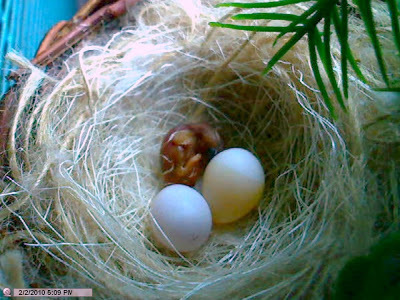 They are particularly defensive of their nests and become aggressive to members of similar species. When kept in mixed aviaries, their number should not exceed that of other bird species. These birds prefer feeding on green leafy vegetables, fruits, as well as Finch mixes containing seeding grasses and millets. Small mealworms, fruit fly larva, and waxworms can be offered regularly by mixing them with soft food. 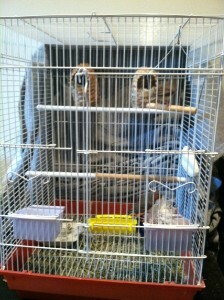 Grit, cuttlebone, and fresh water should be provided at all times. 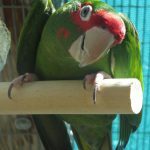 Since adequate movement is necessary for their well-being, flight and cage accessories should be kept to a minimum, allowing them free movement. 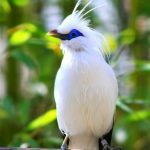 Spacious cages and aviaries also allow the birds to flap from one perch to another. 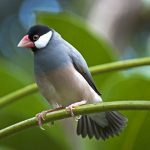 Shallow dishes containing fresh bathing water should be kept in the enclosure, allowing the birds to keep themselves clean and free from infections. 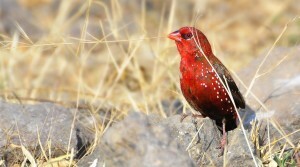 The red avadavat is susceptible to two bird lice species, Myrsidea amandava and Brueelia amandava as well as to viruses like paramyxovirus. An experienced vet should be consulted to adopt a proper treatment program in case of any health problems. 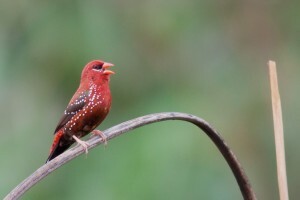 You will need to spend $80-$100 for a pair of strawberry finches. 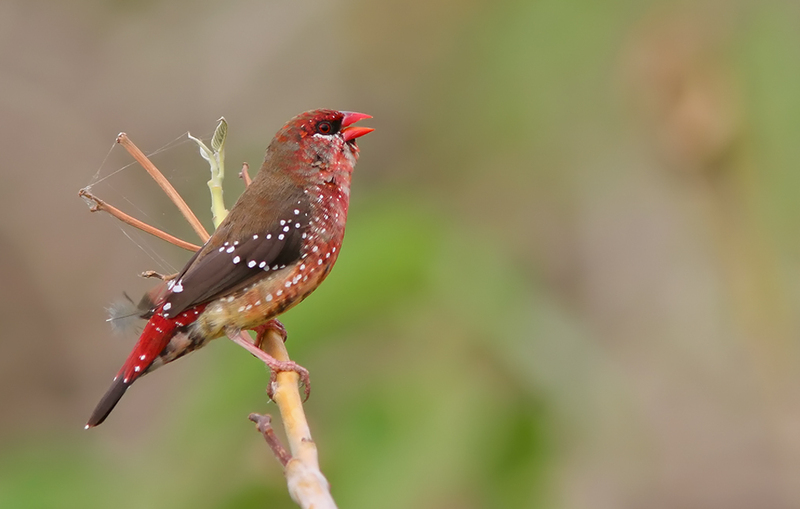 In the past, strawberry finches were sold abroad from the Indian city of Ahmedabad, from which the common name “avadavat” and species name “amandava” are derived. Birds of the same flock preen each other, disarranging the head feathers in temptation. 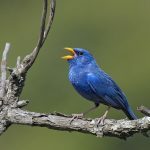 They generally produce a unique low note “pseep” call in their flight for communication, while aggressive behavior is displayed with a shrill call. When entering breeding season, the chest of hens develop a yellowish-orange shade with the tail feathers becoming darker. 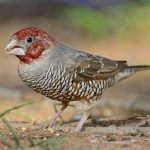 One Response to "Strawberry Finch"
price on strawberry finch please.